Discussion in 'General TV & Media' started by mulder42, Sep 3, 2016. 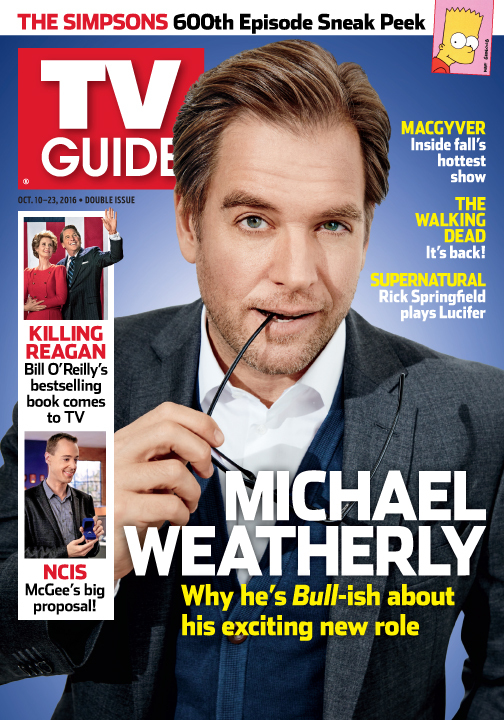 BULL stars Michael Weatherly as Dr. Jason Bull in a drama inspired by the early career of Dr. Phil McGraw, the founder of one of the most prolific trial consulting firms of all time. Brilliant, brash and charming, Dr. Bull is the ultimate puppet master as he combines psychology, human intuition and high tech data to learn what makes jurors, attorneys, witnesses and the accused tick. Bull employs an enviable team of experts at Trial Analysis Corporation to shape successful narratives down to the very last detail. They include his quick-witted former brother-in-law, Benny Colón, a lawyer who acts as defense attorney in the company's mock trials; Marissa Morgan, a cutting-edge neurolinguistics expert from the Department of Homeland Security; former NYPD detective Danny James, the firm's tough but relatable investigator; haughty millennial hacker Cable McCrory, who is responsible for gathering cyber intelligence; and Chunk Palmer, a fashion-conscious stylist and former All-American lineman who fine tunes clients' appearances for trial. In high-stakes trials, Bull's combination of remarkable insight into human nature, three Ph.D.'s and a top-notch staff creates winning strategies that tip the scales of justice in his clients' favor. Premieres Tuesday, Sept. 20, 2016, on the CBS Television Network. "The Necklace" – Dr. Jason Bull (Michael Weatherly), the brilliant, brash founder of a prolific trial consulting firm, combines psychology, human intuition and high tech data to create winning strategies that steer high-stakes trials in his clients' favor, on the series premiere of BULL, Tuesday, Sept. 20 (9:00-10:00 PM, ET/PT), on the CBS Television Network. Michael Weatherly, Freddy Rodriguez, Geneva Carr, Jaime Lee Kirchner, Annabelle Attanasio and Christopher Jackson star in the new drama inspired by the early career of Dr. Phil McGraw. Brilliant, brash and charming, Dr. Bull is the ultimate puppet master as he combines psychology, human intuition and high tech data to learn what makes jurors, attorneys, witnesses and the accused tick. Bull employs an enviable team of experts at Trial Analysis Corporation to shape successful narratives down to the very last detail. The team includes his quick-witted brother-in-law, Benny Colón, who plays a defense attorney in mock trials; Marissa Morgan, a cutting-edge neurolinguistics expert from the Department of Homeland Security; former NYPD detective Danny James, the firm's tough but relatable investigator; haughty millennial hacker Cable McCrory, who is responsible for gathering cyber intelligence; and Chunk Palmer, a fashion-conscious stylist and former All-American lineman who fine-tunes clients' appearances for trial. In high-stakes trials, Bull's combination of remarkable insight into human nature, three Ph.D.'s and a top-notch staff creates winning strategies that tip the scales of justice in his clients' favor. "The Woman in 8D" – Dr. Bull and his Trial Analysis Corporation (TAC) team must formulate a new defense strategy when they discover the jury has a subconscious gender bias toward their client, a female pilot accused of negligence after one of her flights crashes, on BULL, Tuesday, Sept. 27 (9:00-10:00 PM, ET/PT), on the CBS Television Network. "Unambiguous" – Bull and his team tackle jury bias against their client, a woman on trial for the murder of a star athlete she very publicly accused of assaulting her. Also, the case brings Benny face-to-face with his former flame, Amanda (Tiffany Villarin), a fellow attorney he hasn't seen since their breakup, on BULL, Tuesday, Oct. 11 (9:00-10:00 PM, ET/PT) on the CBS Television Network. Sarah Steele guest stars as Ellen Huff, the host of a popular true crime podcast. Dr. Bull down on the farm with a tractor! "Callisto"– When Bull and Trial Analysis Corporation (TAC) help a young woman fight a drug patent lawsuit, they're forced to travel to Callisto, the small Texan town where Bull suffered the only trial loss of his career, on BULL, Tuesday, Oct. 18 (9:00-10:00 PM, ET/PT) on the CBS Television Network. "Just Tell the Truth" – When the parents of a murdered socialite attempt to hire Bull to help prosecute their daughter's working-class fiancé for the crime, Bull turns down a major payday when he chooses to help defend the fiancé instead. Also, Marissa, Cable and Danny try to convince Chunk to let them investigate the new guy he wants to date, on BULL, Tuesday, Oct. 25 (9:00-10:00 PM, ET/PT) on the CBS Television Network. Looks like the ENTIRE CBS lineup for tonight are repeats... I will repost info for that NEW EPISODE near the rescheduled date. Editor's note: The air date of this episode has changed. "Bedside Manner" – Bull must find a way to reverse the negative effect his egomaniacal client, a surgeon with a God complex being sued for malpractice, has on the jury. Also, Bull hires Liberty Davis (Dena Tyler), a previous client's attorney, when he decides Benny may not be sympathetic enough to the jurors, on BULL, Tuesday, Nov. 15 (9:00-10:00 PM, ET/PT) on the CBS Television Network. "Never Saw the Sign" – As Bull assists a man facing vehicular manslaughter charges, he uncovers a connection between his client's trial and a corrupt state assemblyman who would greatly benefit from a guilty verdict. Also, Danny and Cable team up to investigate why Marissa is suddenly acting and dressing differently, on BULL, Tuesday, Nov. 22 (9:00-10:00 PM, ET/PT), on the CBS Television Network. Dr. Bull meets his ex-wife for his latest trial!! "Too Perfect" – Bull's efforts to assist with his ex-wife Isabella Colón's (Yara Martinez) defense in a wrongful death lawsuit are hindered by unresolved issues from their marriage and her longstanding rift with her brother, Benny, on BULL, Tuesday, Dec. 6 (9:00-10:00 PM, ET/PT) on the CBS Television Network. "Light My Fire" – Bull confronts his past when he returns to his childhood home to assist in the arson defense of a young man whose contentious ties to the town mirror Bull's own, on BULL, Tuesday, Dec. 13 (9:00-10:00 PM, ET/PT) on the CBS Television Network. "E.J." – When Bull assists CEO Ginny Bretton (Justine Lupe), whose company is accused of killing an employee with its self-driving car, he discovers his client is keeping a major secret that could sabotage a trial win, on BULL, Tuesday, Jan. 3, 2017 (9:00-10:00 PM, ET/PT) on the CBS Television Network. "Teacher's Pet" – An attorney for one of Bull's former clients, Liberty Davis (Dena Tyler), asks him to consult on a couple's civil suit against a teacher who had a sexual relationship with their son. However, his trial strategy suffers a major setback when the teen switches to the teacher's side, on BULL, Tuesday, Jan. 17 (9:00-10:00 PM, ET/PT) on the CBS Television Network. "Stockholm Syndrome" – The wife of a man who Danny helped imprison for manslaughter detonates a bomb at the TAC offices and takes the team hostage in order to force Bull to prove her husband's innocence, on BULL, Tuesday, Jan. 24 (9:00-10:00 PM, ET/PT) on the CBS Television Network. Can Bull help a professional videogame player sue his former team's owner? "The Fall" – When Bull helps a professional eSports video game player accused of throwing a championship game sue his former team manager for defamation, his trial strategy is to prove his client is a compulsive winner who is psychologically incapable of losing on purpose, on BULL, Tuesday, Feb. 7 (9:00-10:00 PM, ET/PT) on the CBS Television Network.